Please check; The stock level guide below. Next > See-Thru Amber Lens Covers. 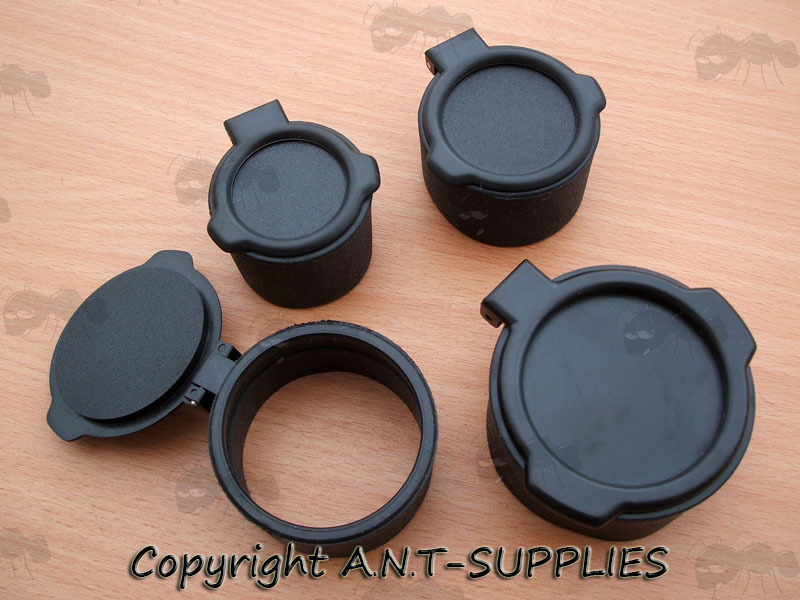 Black rubber with ABS lids. They should be ok fitting from -1mm to +1mm of the stated sizes. Silent spring hinges that wont spook your target. Protects from dust and moisture. A push of your finger on the tabs releases the cover then a spring mechanism keeps it open. 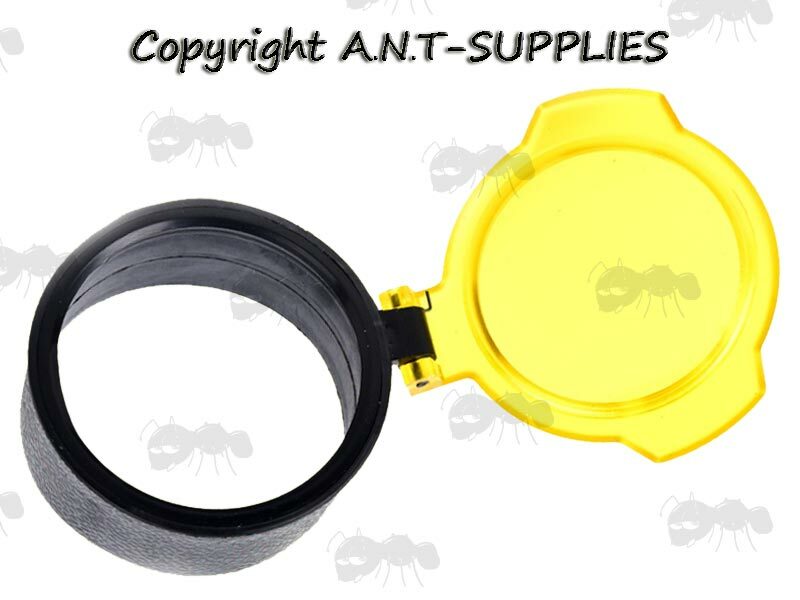 Protects the lens window from impact and scratching. 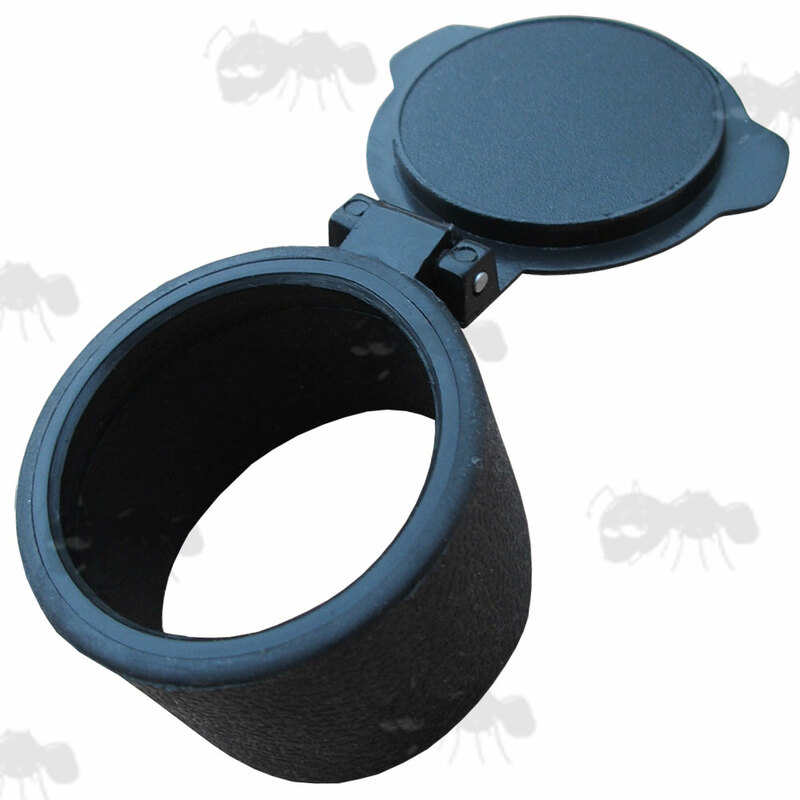 Measure the outside diameter of the eye and objective ends of the scope. Fit range is 1mm under to 1mm over these measurements. 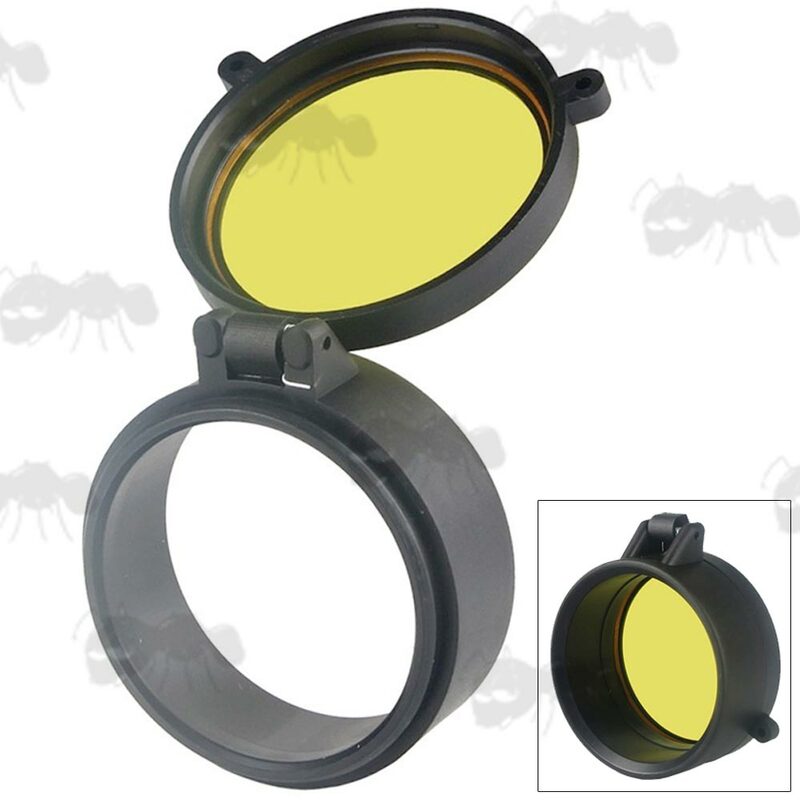 Flip-up scope cover with high grade polymer amber window. Thick, black flexible plastic frames. 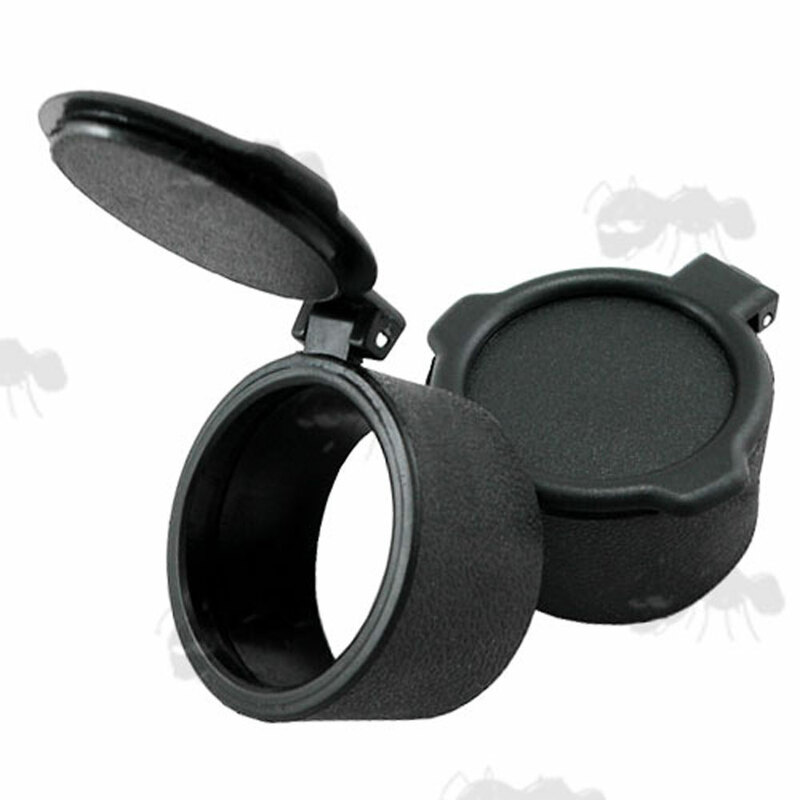 Flip-open scope cover with clear window for quick targeting of close to medium range.